The rain continues. Well, the misty wetness that passes for rain continues. 52 degrees, cloudy skies, and wet roadways. Not the conditions running dreams are made of. I also have this low-grade sore throat and headache, which adds another wrinkle to the current dreariness. Blah-zay. Also, I wanted to run this morning, and ain’t no rain gonna hold me down. Way too happy after running in the rain! Not much else to report today. I had fun out there and feel fully recovered from the Bronx 10-Mile. I’ll be running 20 miles tomorrow in Central Park in the afternoon, and can’t wait to see how well I hit the hills. Staten Island Half in one week! NYC Marathon in four! NYRR 60k in six! Oh wondrous fall racing season! Off to the many pumpkin patches of New Jersey for the rest of day. Get out there and have a great one! 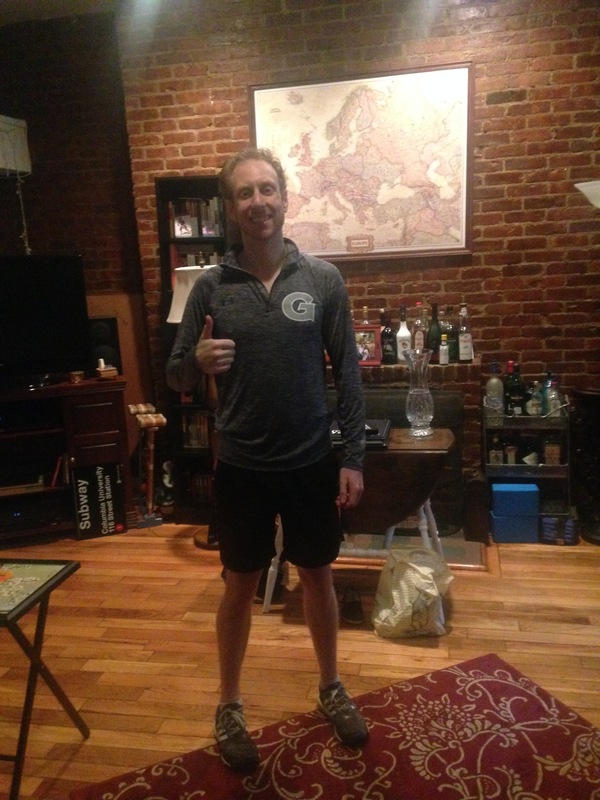 ← 10/2/2015: Morning Workout: November Project: The Quad Thrashing Continued!